Interested in gamelan? Learn the basics in a free workshop! 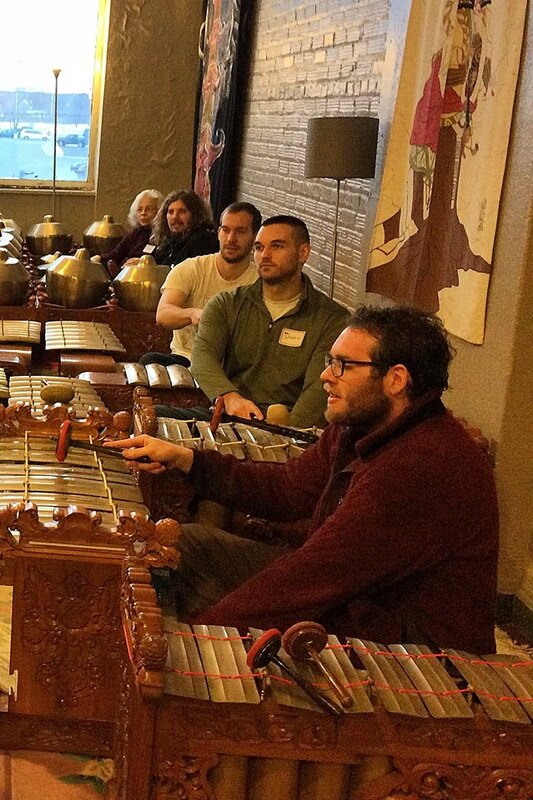 Experience for yourself the excitement and fun of playing Javanese gamelan in this hands-on workshop. Even if you have never played a musical instrument before, by the end of the workshop, you will find yourself playing an ensemble piece with other participants. Suitable for adults and children age 6 and older. No previous musical experience necessary. All participants must be registered in advance of the workshop. REGISTRATION IS CLOSED FOR THIS WORKSHOP. For further information contact the Sumunar Registrar. Please note the workshop needs a minimum of 6 people to run.